Courage was my first word because in many ways I'm extremely timid with life. My hubby is this huge BASE jumping, traveling, grasp life by the horns guy and I kind of hold back. Believe me, it takes courage for me to deal with everything that he does, but I needed courage to do the things that I should be doing. I feel that in 2013, my word actually worked for me. I did the Warrior Dash that year and climbed that big wall there, which was HUGE for me, because I'm afraid of heights. I cried when I got down the other side. I also took a leap of faith and signed up to drive for Meals on Wheels that year, which also took me out of my comfort zone. There were probably more things that I did, but those are the two things that stand out in my mind. In 2014 my word was perseverance. I can't remember why, but I remember that word fitting very well that year. I think I chose perseverance because I wanted it to build on the courage that I was trying to embody in 2013. But, it came to mean something different. That was one of my best years growing in faith and reading the Bible on a regular basis. In 2015, I used the word Re-Imagine, which really was a good word for that year. 2015 was the year that my hubby took a huge leap and began his first new job in 22 years. He began looking for a new job in 2013, but 2015 was when he finally got a new job. It was a huge transition for us and it was a transition that would have created the need for me to get a job outside the house for the first time since my son was born. It was a huge paycut, new health insurance and just basically re-learning a lot of things for all of us. I didn't end up getting a job outside the house that year because I broke my hand and that kind of made a lot of things difficult! In 2016, my word of the year was De-Construct. I wanted to take each part of my life apart and rebuild it the way I thought it should be. I'm not sure whether I embodied the word that year, but 2016 was actually a fantastic year. I did finally have my first job outside of the house for a couple months, I went to Europe with my hubby and his friends, Cleveland had an excellent sports year that year. . . it was just a fun year all around. Then, 2017 hit. My word of the year in 2017 was flourish. 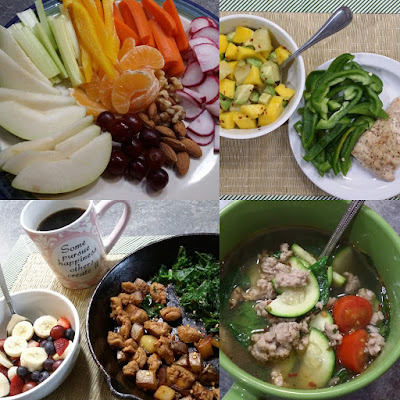 I began the year with a bang, completing a round of Whole 30, which I thought gave me a good start to "flourish." I have had some successes on the blog this year, which I could call "flourishing", so I guess my word of the year last year kind of came to fruition. BUT, I entered menopause this year, which truthfully hit me like a sack of bricks and in many ways made me feel old and fragile, which kind of is the opposite of flourishing (in my mind). So, that leads me to my word of the year for 2018. I began with the idea of making my word "YES" Yes, to life. Yes to absolutely everything life has to offer. 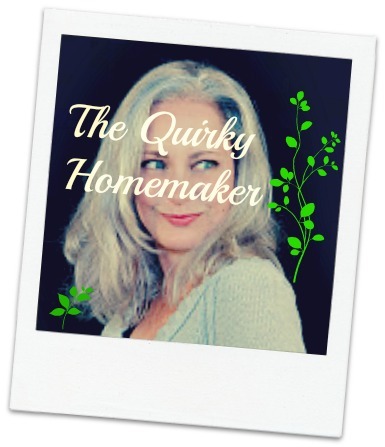 If my kids or hubby ask me to do something, then the answer should be "yes" whether I'm in the mood or not. Then I thought about making it "Simplicity" AND "YES", which seems like they would be at odds. But, I was going to make them work together with each other. *holding together; cohesive; not easily pulled asunder; tough. So, I don't want it to mean that I'm not embracing this new part of life. . . . but, I also can't let this part of my life mean that I'm getting weaker. Now more than ever I need to find and grow my physical strength and I need to be more *tenacious* about finding ways to help my family financially. So, there you have it! What is YOUR word of the year for 2018? Tenacious sounds like a great word for 2018! 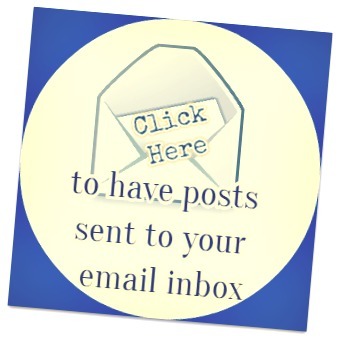 It sounds like you've been through a lot, both personally and professionally. Highs and lows, and yet, here you are, still doing a great job! Kudos! Thanks, Krystal! Hope you have a great New Year & many blessings in 2018! Love this so much. It's amazing how the word can really give you the courage to do out there. My words for 2017 were focus and stretch and boy did I do both. This year I am choosing trust and kindness and I am exciting to bring both more actively into my life. 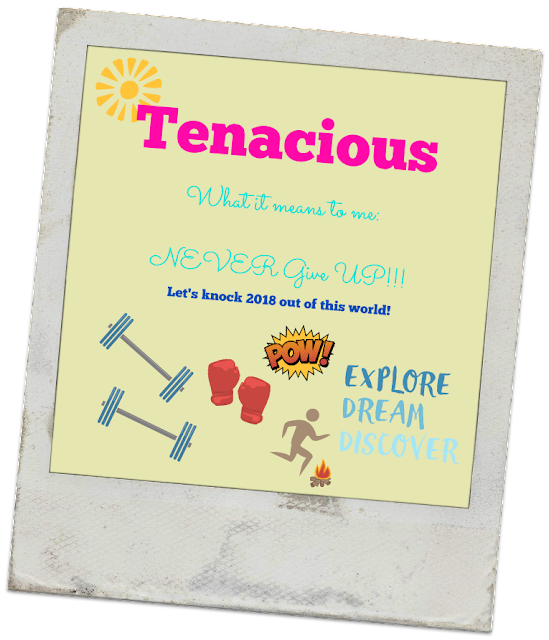 Tenacious is a FABULOUS word for 2018 - love this idea and love the meaning behind it. Happy New Year and good luck!! If I was to pick one word that described my 2017 it would be "Stressful", it was in many ways a stressful year the word I would pick for 2018 would be "de-stress"
I have a background in theater improvisation. And one of the first rules you learn in improvisation is "Yes, and..." So if someone says the sky is yellow, you don't say, "no it isn't." You say yes, and the stars are green....or something like that. Meaning, you make anything that is given to you work. So I like the concept of Yes and as a mantra. But I also like strength. Because we women so often have so much more strength than we think when life gets hard. Best wishes for 2018! I think picking the word of the year is a lovely tradition and it allows you to set goals that will help improve you as a person. I love the word you picked for 2018! Tenacious! I hope it helps make your year even better! Good luck on your Tenacious new year! After doing a Warrior Dash I'm pretty sure you can do anything! I love all of the words, and I think your 2018 decision is amazing! I have never thought to do a word of the year, but i love the idea! I never pick a word because I can never decide! It sounds like you have a great plan to use your word wisely this upcoming year! I love that word! I didn't even know picking a word for the year was even "A thing" until I started reading all these blog posts! What a year you've had. I'm loving reading everyone's year in review and so need to write one of my own! I love the word of the year! that's a fun idea to do for each year. I think it's a great idea because it helps you have the right mindset. This is something I need to consider doing seeing that just a simple word has been life changing for you. I think the word I will pick for 2018 is courage. I am where you were in 2013 and I would like the courage to do things I ma intimidated by. I absolutely love your word of the year this year!! Tenacious is a word that has been used to describe me in the past, and it's definitely something I always aim for :) I'm still between a few words for 2018 (growth and trust are leaders right now)! I love the idea of a word for the year. Mine is going to be fearless...I have been scared to step out of my comfort zone. It is time to stop being worried and start going for things I want. I haven't picked a word for 2018 yet! I love Tenacious! Excited to see what 2018 has in store for you! Happy New Year! This is an excellent word and one I haven't seen used yet this year! My word is intent because I really want to do more of the things I really want to do. If I can't do it with intention I shouldn't be doing it at all!